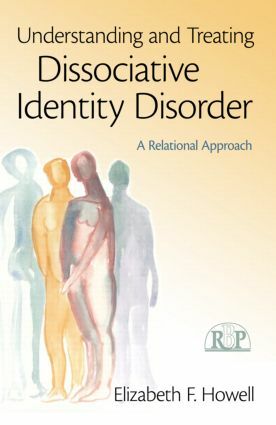 Building on the comprehensive theoretical model of dissociation elegantly developed in The Dissociative Mind, Elizabeth Howell makes another invaluable contribution to the clinical understanding of dissociative states with Understanding and Treating Dissociative Identity Disorder. Howell, working within the realm of relational psychoanalysis, explicates a multifaceted approach to the treatment of this fascinating yet often misunderstood condition, which involves the partitioning of the personality into part-selves that remain unaware of one another, usually the result of severely traumatic experiences. Howell begins with an explication of dissociation theory and research that includes the dynamic unconscious, trauma theory, attachment, and neuroscience. She then discusses the identification and diagnosis of Dissociative Identity Disorder (DID) before moving on to outline a phase-oriented treatment plan, which includes facilitating a multileveled co-constructed therapeutic relationship, emphasizing the multiplicity of transferences, countertransferences, and kinds of potential enactments. She then expands the treatment possibilities to include dreamwork, before moving on to discuss the risks involved in the treatment of DID and how to mitigate them. All concepts and technical approaches are permeated with rich clinical examples.